An intoxicating blend of tropical gardenia and white exotic flowers. 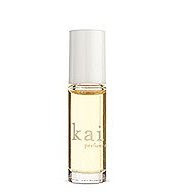 Preciously packed in a roll-on vial, the delightful scent of Kai is conveniently carried and stored for a quick and easy dabbing anywhere or anytime. 1/8th ounce.